Samsung's long rumored Bixby powered smart speaker is expected to enter the suddenly crowded category in the second half of this year. Despite this, the company's consumer product chief has a plan for the company that will make smart speakers less important. 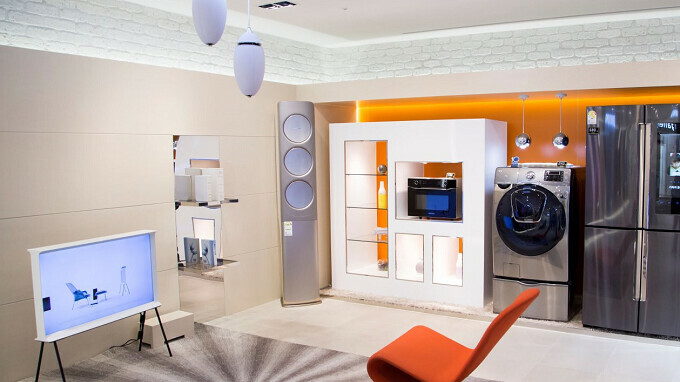 Kim Hyun-suk sees every device made by Samsung, including washers, dryers, televisions and refrigerators, as a potential smart speaker. "Deep down, I wonder why everyone is talking about (smart) speakers," says the executive. As a result, the company has a goal of equipping all of its devices with AI and internet connectivity by 2020. Mind you, that is only two years from now. And by then, the company expects to have at least 1,000 AI-dedicated engineers and researchers. Last year, 52 million homes in the U.S. owned at least one smart speaker, and that number is expected to soar to 280 million homes by the end of 2022, according to market researcher ABI. Samsung's goal here isn't to necessarily halt the growth in smart speaker sales, but to unify all of its products and allow them to take directions and respond to requests for information. This would be done using Samsung's own virtual personal assistant Bixby. Bixby, which got off on the wrong foot (wait, do virtual assistants have feet? ), will be updated to version 2.0 with the launch of the Samsung Galaxy Note 9, which could take place as soon as July. The updated Bixby will be able to distinguish between ten different voices and will collaborate with more third-parties in order to give users more capabilities. For example, Alexa has many skills involving third parties that allow users to order a pizza, call for an Uber, play Jeopardy and more. So far, Samsung has 500 partnerships in the U.S. to provide Bixby with third party capabilities, and hopes to eventually have "tens of thousands" of such partners globally. Samsung believes that unifying all of its appliances, televisions and mobile devices through the use of Bixby will increase demand for its products. By unifying its devices, there could come a day when Bixby reminds you through your Samsung television to take the clothes out of your Samsung washer, and put them into your Samsung dryer.